Transmission of toxoplasmosis from mother to fetus can lead to severe congenital problems and fetal death, and tests for the parasitic infection during pregnancy are critical. 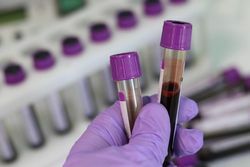 Now, researchers reporting in PLOS Neglected Tropical Diseases have showed the efficacy of a low-cost whole blood test for toxoplasmosis. Toxoplasmosis results from infection with the Toxoplasma gondii parasite, usually transmitted to humans from eating undercooked contaminated meat or through exposure to infected cat feces. 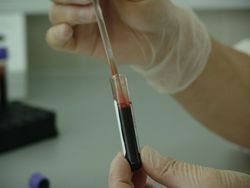 Existing tests for the infection are serum tests, which require blood samples to be processed using infrastructure and technology that can be prohibitive in developing areas and unaffordable in developed countries like the United States. Rima McLeod of the University of Chicago and her colleagues, including Joseph Lykins and Karen Leahy, tested 205 individuals. The individuals tested included patients, volunteers, and obstetrical patients from Chicago and Morocco known to be infected with T. gondii. A team led by co-author Dr. El Bissati tested the pregnant patients in Morocco, and Dr. McLeod's team tested the patients in Chicago. 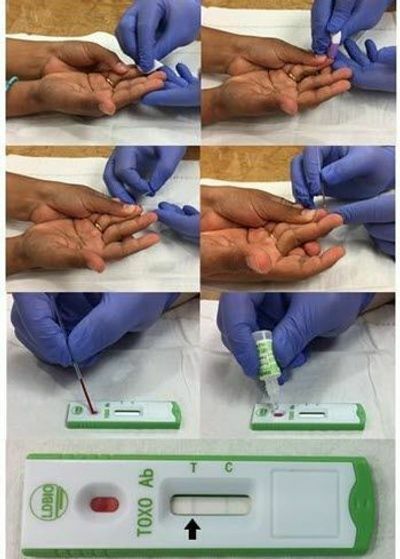 The blood was tested for T. gondii infection status using reference tests, standard-of-care serum tests and the new whole-blood point-of-care (POC) test obtained by finger stick. The whole blood POC test had 100 percent agreement with the reference and serum-variant testing, and proved highly sensitive and specific, with a sensitivity of 100% and a specificity of 100%. The scores held true even for women with lower levels of anti-Toxoplasma antibodies. However, the test cannot distinguish between acute and chronic infections. The authors note, "Our work establishes a new point of care test in the outpatient setting at very low cost enabling diagnosis and prompt treatment for toxoplasma infections acquired for the first time during pregnancy. This enables life, sight and cognition saving treatments. If combined with multiplexed testing for other congenital infections and markers associated with premature birth, it will markedly improve maternal child outcomes and save lives."